Mumbai: The much-heralded revival in home-building could come to nothing as property developers may have raised prices too much too soon, data from realty research company Liases Foras shows. The country’s largest mortgage lender has a word of caution for real estate companies looking to cash in on the increase in demand. Any resurgence would be hit harder by prices rising excessively, than by loan costs. “The effects of higher prices are more on demand than higher interest rates," Karnad said at the launch of the Liases Foras Real Estate Sensitive Index on 18 November. 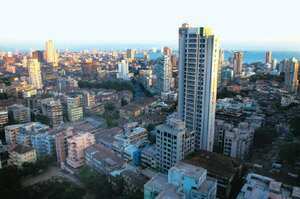 Demand had picked up, particularly in Mumbai, as home buyers returned to the market amid a price correction in March. Subsequent hikes have pushed out buyers, said Pankaj Kapoor, founder and managing director of Liases Foras. “Average prices in Mumbai corrected 34% after the downturn until March, following which we saw the maximum sales in two-and-a-half years between March and June," Kapoor said. “However, realtors have increased prices since then (June), pulling down sales as of the quarter ended September." Sales in Mumbai have fallen 10-15% since September as buyers are staying away because of higher prices. “This market is very price sensitive and not all locations have touched a fair price level," Kapoor said. “For example, Andheri has seen no major drop in prices. Thane has seen the largest drop from Rs5,000 per sq. ft to Rs3,000 per sq. ft in March, now prices have again increased to Rs3,800 per sq. ft, affecting demand." The availability of new homes has decreased since last year’s slump but isn’t near what it was four years ago. “Sales have dropped 14% till September, affecting the efficiency of these companies. In January 2005, realtors had an inventory to sales ratio of 2:1, that worsened to 12:1 in November 2008, and improved only to 5:1 lately," Kapoor said. “This means that prices have been increased and inventory has been allowed to build up, a clear sign of an asset bubble." The Liases Foras measure, the second such index in the country, tracks the sector by region and product type (1 bedroom-hall-kitchen (BHK), 2BHK, etc.). It includes a price index, a sales index (showing demand) and an inventory index (indicating supply) for new houses in a city or area. “We have 30 people who collect data from builders and brokers on a first-hand basis," Kapoor said. “We have data from Mumbai, the NCR (National Capital Region), Hyderabad, Pune, Bangalore and Chennai now, and are planning to add Ahmedabad, Kochi and Kolkata next year." Around 10,000 projects are covered by the research, he said. The data collected by Liases Foras is validated by HDFC. Data for the Mumbai region is available since 2004, and from 2007 for the rest, Kapoor said. The company has covered 95% of the new projects in the Mumbai metropolitan region extending up to the suburb of Panvel. Kapoor said Mumbai has fared better than other cities, especially in the South, where demand has not yet picked up despite a drop in prices. “Sales are down by 50% in Bangalore and Hyderabad. Only Chennai has been better. However, builders have jacked up prices to push up their valuations in the run-up to raising money through QIPs (qualified institutional placements) and IPOs (initial public offerings) in the next few months," he said. Seven firms have filed plans to raise money from the equity market with regulator Securities and Exchange Board of India. They include Mumbai-based Lodha Developers (Rs2,700 crore), Lucknow-based Sahara Prime City Ltd (Rs3,450 crore), Emaar MGF Land Ltd (Rs3,800 crore) and New Delhi-based BPTP Ltd (Rs2,000 crore). According to HDFC estimates, Rs23,000 crore is likely to be raised by real estate firms through IPOs in the next few months. The mortgage company estimates that the country will need 26.5 million houses in the next five years for 62 million people who live in urban slums, for which Rs3.6 trillion will be needed. Basic quarterly data for each of the cities covered is available for free after registration on the company’s website (www.ressex.com). The company charges a fee of Rs25,000 per quarter for more detailed data, which includes area-wise information on prices, sales and demand in a particular city. The first real estate index in the country was launched by Reserve Bank of India-owned National Housing Bank (NHB) in 2007. The NHB Residex covers 15 cities and is restricted to prices, data for which is collected from home loan companies and processed by the New Delhi-based National Council of Applied Economic Research. NHB data is updated once in six months. Kapoor is confident that he will get enough customers willing to pay for the data and is targeting foreign and local investors, builders and financial institutions as clients. The company has already undertaken research for at least 100 clients in the last nine years, including HDFC, US-based University of Miami, Mumbai-based Hiranandani Constructions Pvt. Ltd and the Maharashtra Chamber of Housing Industry. Niranjan Hiranandani, chairman of Hiranandani Constructions, said lack of data is the main reason for lack of transparency in the sector. “We didn’t have adequate data, whatever was there was fragmented and inauthentic," he said. “This data is going to help financiers, developers and consumers, particularly when I expect volumes in this industry to grow by 30-35% in the next five years."